Narendra Modi uses a broad strategy like he always chooses to speak in Hindi and also trying to connect with all the people of our country, and he always trying to connect with the youth. Read more about Narendra modi as a Brand Personality. The charming and dynamic man, Narendra Modi, is the 18th Prime Minister of India. He is best known for his excellent oration skills and composure. He was born on 17th September 1950, in Vadnagar, Bombay Presidency that is now in Gujarat. He is the first Prime Minister of India who was born after India’s independence. His extraordinary leadership led the Bhartiya Janta Party to a historic win in the 2014 general elections. Before becoming the Prime Minister of the country, he was the Chief Minister of Gujarat for 12 years. Narendra Modi was the son of Damodardas Mulchand Modi and Heeraben Modi. His father was a tea-seller and he also used to sell tea at Vadnagar railway station. He was engaged to Jashodaben at the age of 13 and married her at the age of 18. He was never interested in having a family life and never consummated the marriage. His siblings are his brothers, Amrutbhai Modi, Pankajbhai Modi, Soma Modi, and Prahladbhai Modi, and sister Vasantiben Hasmukhlal Modi. Narendra Modi wakes up at 04:00 hours every day and practices Yoga and Pranayama. His breakfast comprises of boiled and roasted light food and he finishes his first meal of the day by 08:00 hours. Thereafter, he spends some time reading national newspapers. He reaches his office by 09:00 hours on foot. His lunch time is 11:30 hours and he relishes Gujarati and South Indian dishes. He works in the office for 14 hours every day and eats dinner at 22:00 hours, after which he checks his emails. He goes to bed past midnight. During the emergency period that lasted until 1977, many political groups were banned. Narendra Modi was the general secretary of Gujarat Lok Sangharsh Samiti of the RSS, which was also banned. He wrote the book ‘Sangharsh Ma Gujarat’ during this time. In 1978, he became the RSS supervisor for Surat and Vadodara. Later, he went to Delhi to work for the RSS, and in 1985, he returned to Gujarat. In 1987, he organized BJP’s election campaign for municipal elections that the party eventually won. Due to his dedication to the party, he rose to become a member of BJP’s National Election Committee in 1990. He took a break from politics between 1992 and 1994 and led BJP to victory in the state assembly elections in 1995 with his electoral strategy. Eventually, he was appointed as the secretary of BJP and played a prominent role in the party’s national victory in 1998. He became the Chief Minister of Gujarat in 2001 and entered the state legislature in 2002. The Godhra riots that happened in 2002 and his personal role in it were a matter of debate but no evidence could be found against him in this regard. He was the face of BJP’s campaign in 2013 and the party went on to win the elections in a clear majority. He became the Prime Minister on 26th May 2014. Narendra Modi is an excellent orator. He has a distinct style of talking those appeals to the masses instantly. He is a great leader and exudes enthusiasm. He is extremely patient and charismatic and has a sharp and analytical mind. He is a patriotic, diligent and dedicated citizen of India. He has a keen interest in reading good literature and carries books to read when on tours. He is also devoted to Yoga and social work. He is a religious Hindu and fasts for all nine days during Navratras, even if he is traveling. He is a vegetarian and a teetotaller and is known for his frugal lifestyle and workaholic nature. As the Prime Minister of India, Narendra Modi launched several programs and initiatives like ‘Make in India’, ‘Skill India’, and ‘Digital India’ that focus on electronics and defense and aimed at the creation of jobs for Indian youth. His government formulated and implemented the Goods and Service Tax (GST). The country has seen a reduction in inflation under his leadership from 10% in 2013 to 5% in 2018. His women-centric schemes like ‘Beti Bachao, Beti Padhao’ and ‘Ujjwala Yojna” are also being much appreciated. His sanitation policies under the ‘Swachh Bharat Abhiyan’ have made a noticeable difference in the level of cleanliness in the country. He was recently awarded the first Philip Kotler Presidential Award. He was also conferred the Seoul Peace Prize 2018. Shortly before this award, he was also awarded the UN’s highest environmental honor ‘Champions of the Earth Award’. His wax statue was unveiled at Madame Tussaud Wax Museum, London, in 2016. He has consistently been ranked among the most influential world leaders in Time Magazine, Forbes Magazine and Bloomberg Markets Magazine. He has received the highest civilian honors from different countries, for example, the Grand Collar of the State of Palestine (2018), the State Order of Ghazi Amir Amanullah Khan (Afghanistan, 2016), and the Order of Abdulaziz Al Saud (Saudi Arabia, 2016). Narendra Modi is a master orator and has excellent communication skills. He generally addresses the masses in Hindi and is known for very powerful speeches. His campaigns rely heavily on the issues faced by the common people of India. His election campaigns involve extensive travel throughout the country and addressing the people directly. The major points highlighted in his campaigns are corruption and poverty. He deftly taps the power of digital media and his PR team makes sure that the government’s policies and schemes are covered and promoted in major communication channels like newspapers, radio, television and social media platforms like Twitter and Facebook. In fact, many marketing gurus believe that the marketing strategy of Narendra Modi has led to the creation of a ‘Brand Modi’ that thrives on constant innovation and practicing what he preaches. Narendra Modi is the most active Indian Prime Minister on social media. He has his own website www.narendramodi.in. 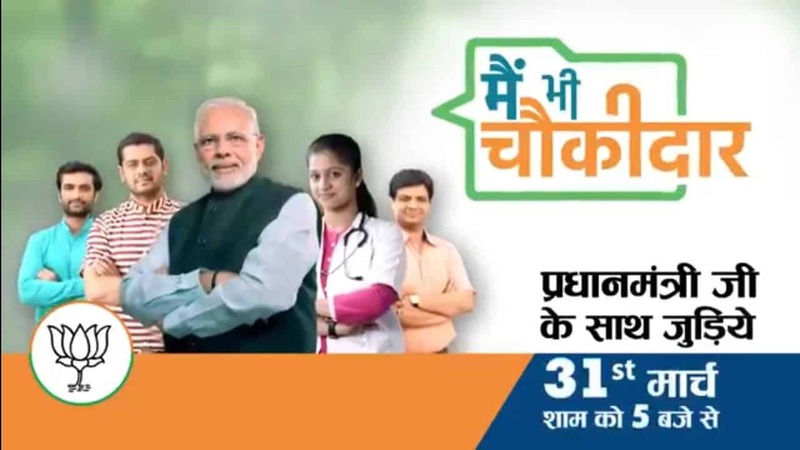 Skill India- Narendra Modi launched the campaign Skill India on 15th July 2015, the mission of this campaign is to train different skills to more than 40 crore people in India by 2022. Digital India- Digital India is one of the major campaigns launched by Narendra Modi on 1st July 2015. This campaign mainly focuses on the technological empowerment of our country. Swachh Bharat Abhiyan – This campaign launched on 2nd October 2014, aims of this campaign is to clean up every single road, street, and infrastructure of India’s rural areas, towns, and cities. Brand Modi- Every political party positioned a specific leader as the face of their party, but in that case, this individual personality never rises above the political party in which they belonged. In the case of the political campaign of BJP it safe to declare that Modi made overshadow even the BJP. Brand Modi started to capture the public imagination, which things never happened before with any political leader. Narendra Modi uses a broad strategy like he always chooses to speak in Hindi and also trying to connect with all the people of our country, and he always trying to connect with the youth. He uses the digital sources to connect with the people from every part of India, which give him the desired result. These things made the Brand Modi, from a regional to a national superstar.